‘Tis the season for pansies, violas, calendula, and sweet alyssum. The weather is changing, the rains are returning and the nights are cooling off. This means those delightful spring bloomers that thrive in this kind of weather are also returning to our gardens. 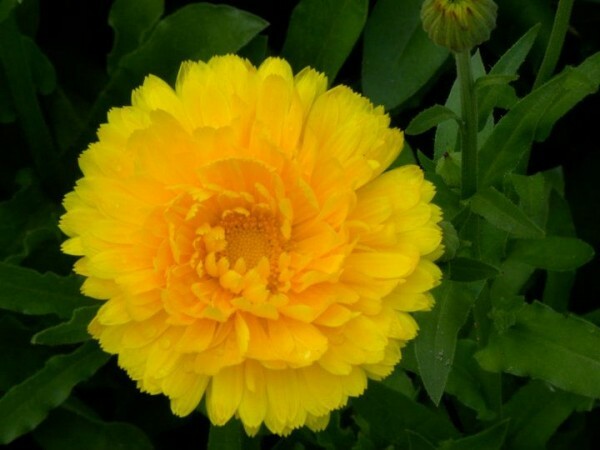 They will all easily self-sow and Calendula and sweet alyssum will keep blooming until killed by frost. 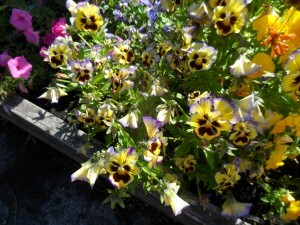 Winter pansies and violas have started showing up in nurseries. These charmers will survive our maritime winter weather and be covered in fragrant flowers by mid-spring! Keep the circle going and sow them now for continuing enjoyment. All of these flowers are edible and you can also eat the leaves of sweet alyssum. They are tasty popped into a fall-greens salad or decorating a birthday cake for a loved one in September. Keep them healthy and chemical free by using organic based fertilizers. Planting them into healthy soil will preclude the need for pesticides. Harvesting the flowers and deadheading faded blooms will keep them blooming longer too! Bees and other pollinators love them! Making sure we have blooming plants in the fall garden is good stewardship practice for pollinator protection. Most trees and shrubs have long since shed their flowers and the lingering insects need both pollen and nectar to finish their season’s work. Though pollinators are not needed as dearly in the food garden as they were in the height of summer, now it is our turn to provide for them. This will ensure their successful return to your garden next year.